From the mouth of Derrick Mcgough (@mcgoughderrick), “he seems to go overlooked a lot and all he does is bang out 45-65 point nights. It doesn’t matter if it’s a back to back game, or how many minutes he has played, he just gets the job done. 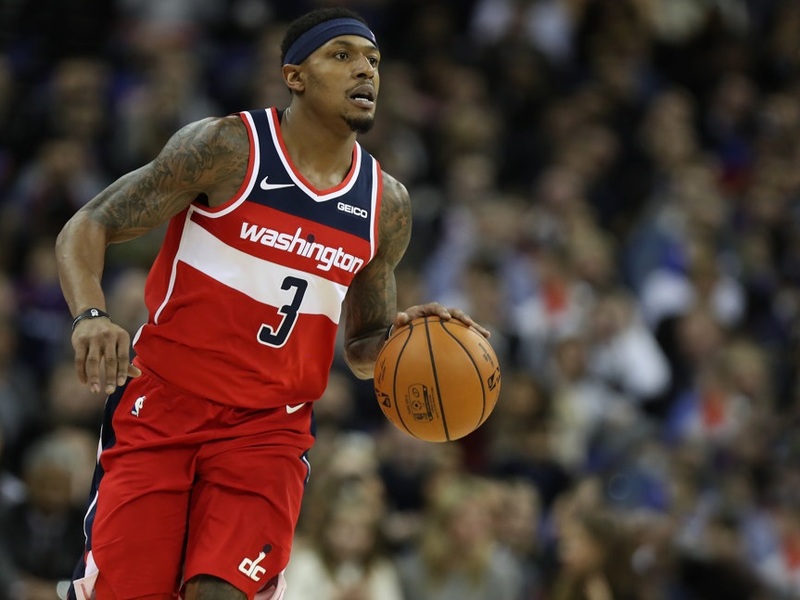 Tonight he gets a Memphis team that has dropped in defense efficiency a ton after their slew of trades.” With 45+ fantasy points in nine of ten games, Beal really had a 5x floor on this price point. What we find awesome is that matchup data doesn’t often take into account recent play, and that red writing for opponent matchup next to Beal will keep far too many people off of him. Any time you can get a player you love at a reduced ownership that’s a sure sign to lock him into your lineup. This is the third time in just over a week that we have featured Lillard in the 3 Point Play but he doesn’t really let us down and he’s in a great spot again tonight. With so much focus being put on the OKC/GSW showdown, it’s quite likely that people are going to load up there with Westy, George, and Curry while overlooking someone like Lillard. While there’s always some concern with Lillard’s upside, the Spurs are a great matchup for him. Not only are they playing their second game in as many days (a perfect spot for Pop to rest of of his players), but Lillard has been incredibly productive against San Antonio this year. In three games this year against the Spurs, he’s averaged just over 52 fantasy points per game, a number that represents a 16% increase over his season average of just under 45 fantasy points per game. Locking him in at a discounted price and ownership over Curry/Westbrook is a big advantage for you if he continues his barrage against San Antonio. Matthews continues to be priced way down despite having a significant role in the Pacers offense and paying off his price point with regularity. Over his last ten games, he’s scored more than 20 fantasy points eight times. That 20 fantasy point floor represents a 5x return on his price, which is more than suitable given his potential upside in a matchup like he has tonight. The Nuggets like to run a little faster pace, and that benefits both sides from a fantasy perspective. The only time Matthews faced Denver this year he looked great with a 27 point fantasy night. Give us that tonight and Matthews blows past his floor and gives you a great foundation to start your lineup at a cheap price. Conley has hit value on the road only once in his last ten games. His one game against Washington this year saw him only record 37 fantasy points; not a score we are going to want if we spend what it costs to roster him. In order to use Conley we are going to have to fade Westbrook, Curry, Lillard, and Doncic; not something that feels optimal on a slate that is very guard heavy. It’s not that there’s anything inherently wrong with Conley, as their was earlier this week when we faded Drummond because there WAS something wrong with his matchup and prior history against the Heat. This fade is much more about him not being in our player pool given the strength of the other players at his position.